I know I'm not the only one who loves to get cozy with a good book, a good bowl of soup, and a comfy blanket during this chilly time of year. This is the first time I've had Anne from Circus Berry share a post here. 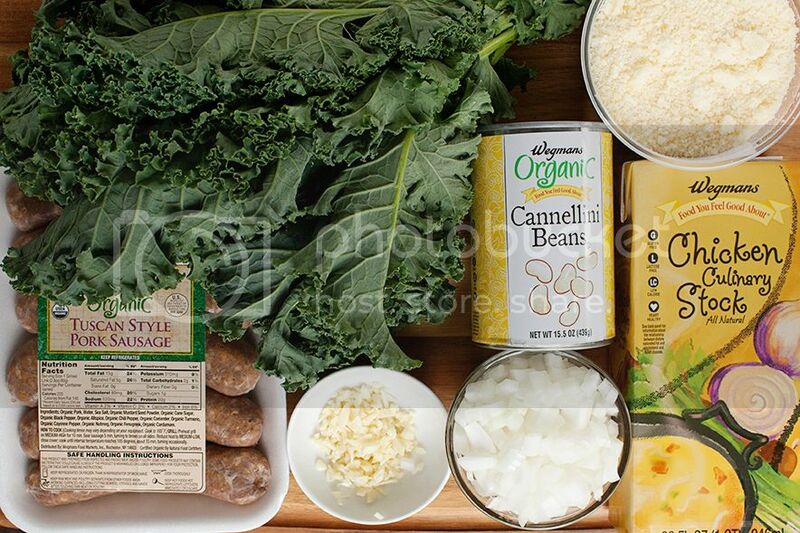 Today, she has a recipe for Sausage, Kale, and White Bean Soup. Yum! 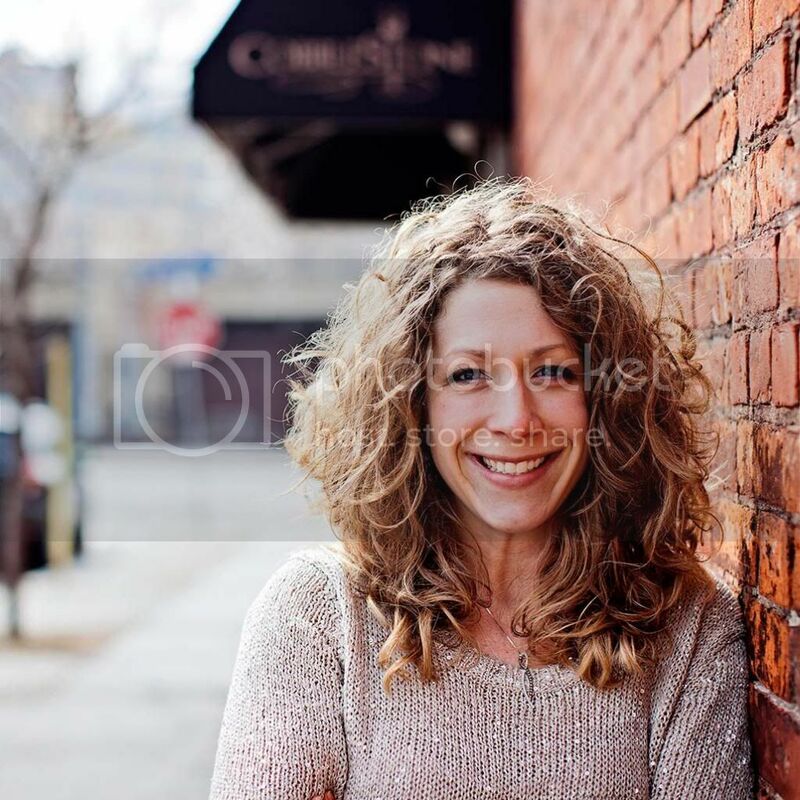 Please help me welcome Anne to the blog! Hello everyone. I'm Anne from Circus Berry. I am a perpetual crafter, decorator, and inventor of reasons to have celebrations everyday. I live outside of Buffalo, NY with my husband, two kids, and dog. My professional career began as a Speech-Language Pathologist, but I have had a flair for DIY, decor, crafts, entertainment, food, and drink for as long as I can remember. After a few untimely layoffs in the past couple of years I took lemons and made lemonade, taking my other passions to the next level and starting my own party-styling and design business. The Circus Berry blog is my natural extension of that business, where I share inspiration for food, drink, party, DIY, home style, photography, and all around fun. Stop over to see the crazy, the creative, and the spark-tacular! I am happy to be a part of a big group of wonderful bloggers helping out Amanda while she spends time resting, recovering, and raising her new baby these past couple of months. 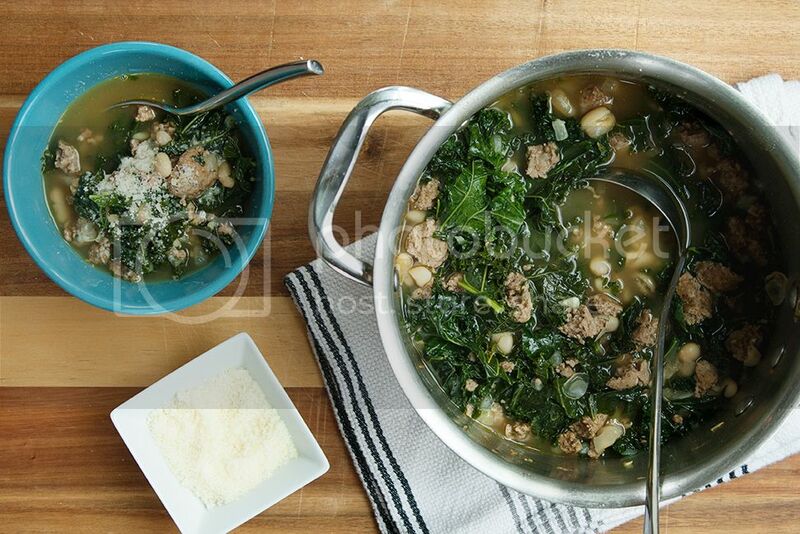 Today I am sharing a recipe for one of my favorite fall-winter dishes. It is only a couple of ingredients, is super tasty, and comes together in a flash. Bonus for those busy weeknights, right? This soup is pretty hearty, so you don't really need anything else with it. That being said, I love to have it with some warm crusty bread. In a pot, heat a tablespoon of olive oil over medium heat. Add the onion and garlic and sauté, stirring frequently and being sure not to burn. Remove the sausage from its casing and add to the pot. Use a wooden spoon to break up the sausage and continue cooking until lightly browned. Drain excess grease if necessary. Add chicken stock and cannellini beans to the sausage mixture, continuing to cook over medium heat. Bring to a simmer. Add salt and pepper to taste. Add the kale and continue to simmer the soup until the kale is wilted and tender. 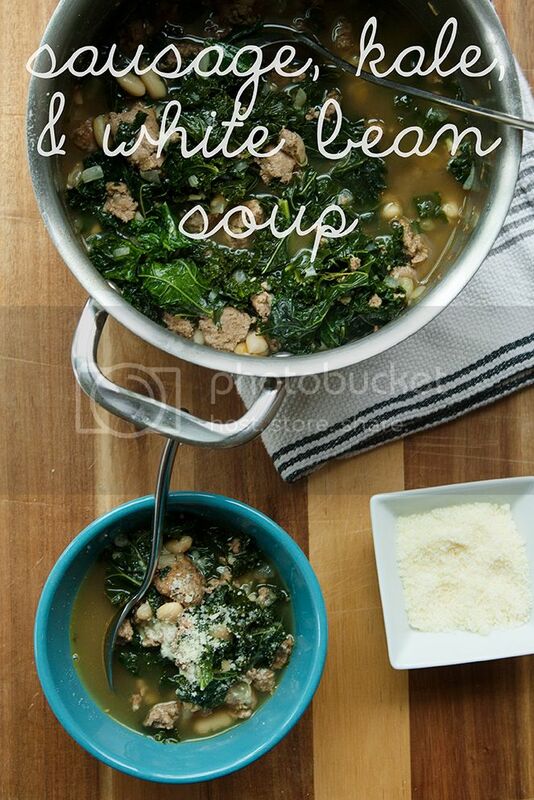 Serve with grated parmesan cheese on top. Thanks for having me! Enjoy! 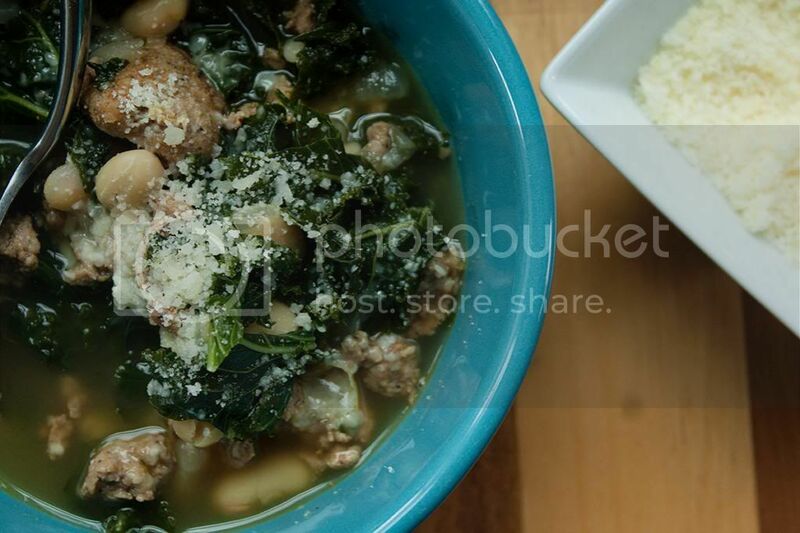 This looks like the perfect recipe to try on a chilly winter night. Thanks for sharing, Anne! Just made this for lunch using spicy chicken Italian sausage from whole foods market and it was heavenly!! I'd eat the whole thing!! Thank you!! This was DELICIOUS. Quick, simple, and healthy. Just the way we like things around here! Thank you!